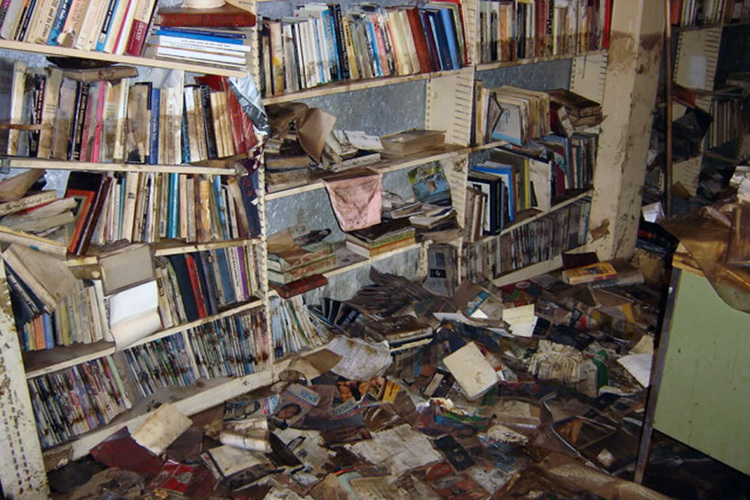 This post is the sixth of a six-part series commemorating libraries and librarians 10 years after Hurricane Katrina. 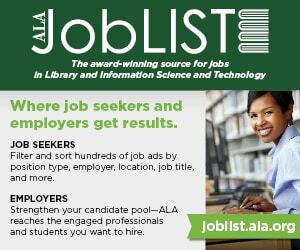 Tulane was able to provide a “basically battery-operated” library, according to Corrigan, with a skeleton staff that would shrink even more by springtime because of university-wide layoffs. 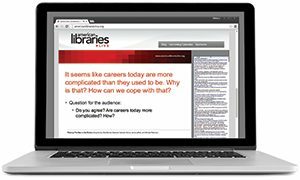 The library needed help. Almost immediately, it turned to BELFOR, a disaster mitigation company that was already part of the university’s emergency plan. Within days the company was onsite to assess damage, and when the water receded, BELFOR trucks arrived with generators and other special equipment to handle the threat of humidity and mold. 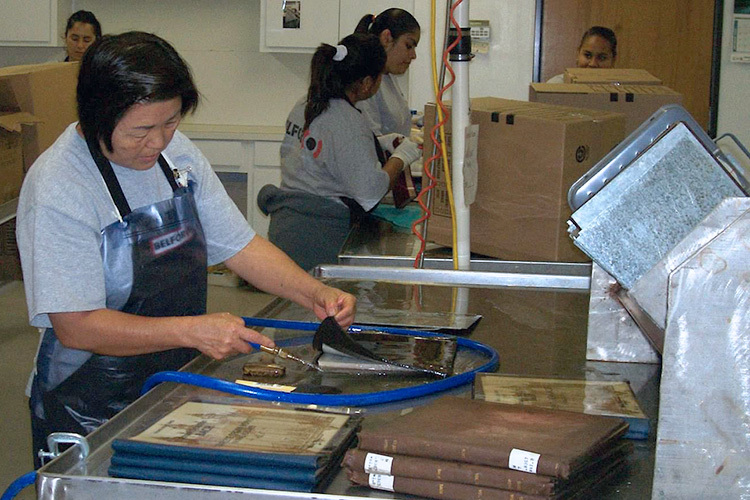 It would also handle all restoration of individual materials at a technical facility in Fort Worth, Texas, which for print volumes included the painstaking process of washing each item page by page, freeze-drying the item, and putting it under radiation treatment to protect it from residual mold. In the end, more than 110,000 government documents, 18,000 reels of microfilm, and 630,000 special collections items were restored to usable condition, and hundreds of thousands of items were shipped back to New Orleans. “Problem was,” says Corrigan, “the materials didn’t just jump back on the shelves.” Howard-Tilton then turned to the Federal Emergency Management Agency (FEMA) for ideas on how to manage recovery efforts. “FEMA gets a bad rap,” Corrigan says. 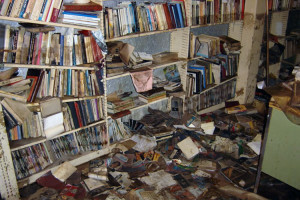 While FEMA couldn’t tell the library what it should do, Corrigan credits the agency with telling the library what was possible. 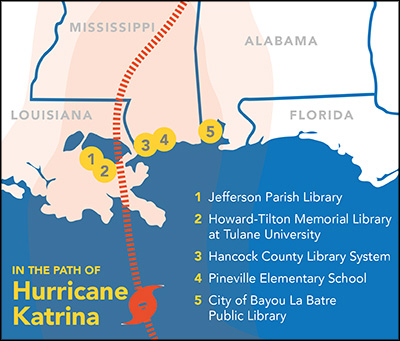 This led to the development of 16 separate projects—separate in terms of paperwork but interwoven in functionality—that focused on different aspects of recovery, and ultimately the funding and establishment of Tulane Libraries Recovery Center (TLRC). Referred to by Corrigan as a “landmark undertaking,” TLRC is a space adjacent to Tulane’s offsite library storage facility that serves the dual purpose of processing restored items and storing acquisitions for replacement items—more than 1 million items in total. 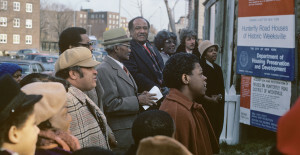 FEMA funded temporary workers through a contract with Library Associates to work at the offsite center, allowing the rest of the library to operate separately. “The idea of not doing the recovery on the backs of your regular staff was a good one, and probably better for us,” says Corrigan. One of the things that has changed, or rather, been added to Tulane’s recovery process is the two additional floors that are currently being built on top of the existing Howard-Tilton Memorial Library. Those floors will house elements of the library that were originally located in the Howard-Tilton and Jones Hall basements, as well as the building’s primary mechanical and electrical systems that were destroyed by Katrina. 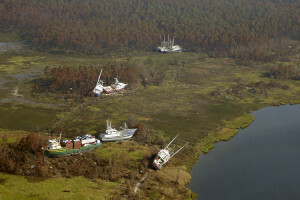 Discussions with FEMA about this project began in 2007 and construction plans were completed in 2012. Basic construction may be finished by this October and then Corrigan anticipates it will take an additional year to fill the new spaces. 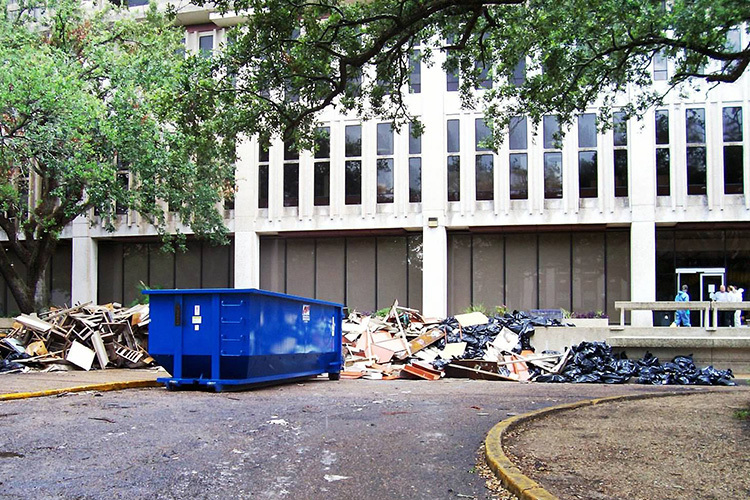 Today, the basement levels of the Howard-Tilton and Jones Hall buildings are still unoccupied and gutted, and there are no plans to house anything there currently. Though the basement of the Howard-Tilton has been waterproofed, Corrigan would prefer to see the space used for classrooms as opposed to collections. “There’s a refrain you hear across the whole campus these days: ‘We need to get beyond recovery,’” he says. He thinks that will become a reality once construction comes to a close. Corrigan says the library felt closer to achieving this when the remnants of its temporary HVAC system—big tubes that were hanging from the ceiling and initially run off of generator power after Katrina hit—were taken down this month. “It’s kind of a strange thing—‘10 years already, really’?” Corrigan remarks. He says it feels odd to consider how to approach or commemorate an anniversary of a disaster, but he remarks that some great, fascinating aspects have come out of Katrina, such as a new crop of committed faculty members who really want to be at Tulane and the idea that students who enroll at Tulane, even today, are attracted to its community-engagement opportunities.